To really enjoy Barbecue, you have to get messy. With this kit, you'll get two moist towelettes and two disposable bibs that can protect you and a friend from the inevitable sauce and fat stains. You never know when Barbeque might strike, so be prepared. 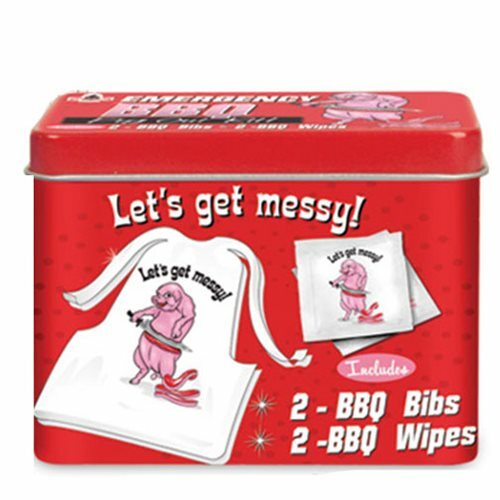 Set of 2 disposable bibs and 2 moist towelettes in printed metal tin. The metal tins measures about 3 1/4-inches wide x 2 1/2-inches tall x 2-inches deep.